What a gorgeous Easter weekend. After a gray and dreary mid-week, blue skies and bright sunshine were a welcome sight. I happened to look out my front window at the Pacific Crest Saturday morning just as the sun first hit the top of Tinkers Knob. As the sun rose, the large snow cornices along the ridge shown brightly, then the light slid down the eastern side of the mountain revealing the snow laden slopes of Coldstream Canyon.Sunday morning I woke at 5 a.m. to attend the Easter sun rise service at Commons Beach in Tahoe City. What an incredible view it was as we witnessed the change from the darkness of dawn to the spectacular sunrise overlooking Lake Tahoe and the surrounding mountains.More than 120 people gathered to celebrate this special service presided over by Pastor Chip Larson of Christ the King Lutheran Church, and Pastor Dan Holzer of the First Baptist Church of Tahoe City.Dan and I have held these services here at the beach for 30 years regardless of rain, shine, or snow, said Larson. People enjoy gathering here to celebrate this very special day at this incredibly beautiful location.Monies from the offering go to the Tahoe Ministerial Association which is a group of Catholic and Protestant Churches who donate funds all year for those in need in the Tahoe/Truckee area. We provide food, motel housing, gas, clothing, and other necessary items as required by each individuals needs, said Larson. If you would like to donate toward this worthy cause, give Chip or Dan a call.This was my first sun rise service in Tahoe, and it will not be my last.Theyre back … Have you noticed the resurgence of wildlife around? There are literally thousands of birds back in town yet no sound of cheeseburger from the magpies yet. We were told last year that the cheeseburger sound is actually a mating call. Must still be too cold for that loving feeling.Area bears are also back from their winters nap. We spotted three bears several times while skiing at Alpine Meadows at the end of March and early April. Mom and two young ones (probably yearlings) were enjoying their daytime perches in trees around the lodge while probably waiting for the skiers and staff to go home so they could pick up the crumbs off the deck and raid the dumpsters nearby. 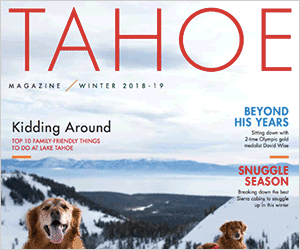 We have also heard that the Northwoods Bear is back on the prowl in Tahoe Donner.School dilemma … The current projected shortfall in the school districts budget for 2009/2010 is real and there are no easy fixes in sight. Closing or combining some schools may be a reality. Some numbers of layoffs appear to be a certainty. Regardless of position, every side of this very hot issue agree that whatever is resolved needs to be in the best interest of the students as much as possible. This is as it should be. These are tough times folks and whatever the decisions are made; they must be looked at as not just a bandaid for a year or two, but quite possibly longer. Long-range planning, including the possibility of two separate school districts, the future funding of our schools, etc. need to be discussed and determined in months to come. But right now decisions have to be made for 2009/2010. May cool heads and a spirit of cooperation prevail. Coming events … As we get closer to summer it is time to mark your calendars for some great upcoming local events and fundraisers. On June 6, the annual Truckee Day cleanup and community BBQ at Regional Park will be held in the morning and early afternoon. At 5 p.m. to 7:30 p.m. the Soroptimist Club of Truckee-Donner will be holding its 35th annual Wine andamp; Restaurant Faire Fundraiser at Coyote Moon Golf Course. Presale tickets for $35, $40 at the door.On June 13, the Truckee Optimist Club will hold its fourth annual Truckee Brew Fest at Regional Park from 1 p.m. to 5 p.m. More than 20 breweries will be represented and there will be live music and a silent auction. $20 in advance, $25 at the gate. Then on July 10, 11, and 12, the Optimist Club will sponsor its 19th Cannibal Cruise Car Show. The venue is changing to include more community participation and fun. 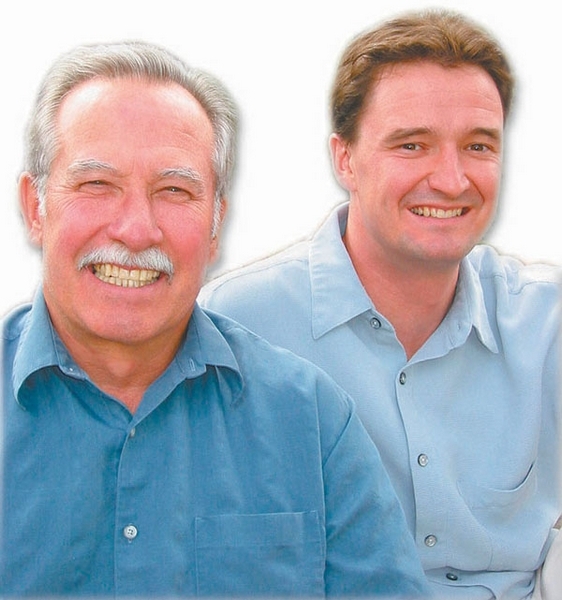 Free admission.Norm and Alan Nicholls of the Nicholls Real Estate Group are affiliated with Dickson Realty at 11500 Donner Pass Rd. in Truckee. Last weeks question: Early bird winner, Eileen Lyon, correctly identified the Truckee River Bank as the former business occupying the space where Kentucky Fried Chicken and the post office are now located at the Crossroads Shopping Center.Other winners included Steve Marshman, Mary De Lisle, Norm andamp; Karen Justesen, Pat McKechnie, Suzette Seagoe (now lives in Santa Barbara but reads the Sun online), Lori Tucker, Barbara Northrop, Robin Waters, Charlie White, and Bill Mullins.This weeks question: Who is the former Tahoe Donner Golf Pro who is currently the head teaching pro at Rosewood Lakes golf course in Reno? Call us at 550-5035 or email us at nnicholls@dicksonrealty.com with your answer.